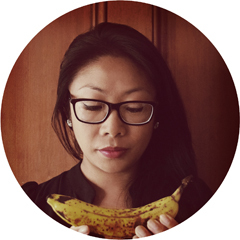 The food bill has been something that has been in the news recently both in the US and in NZ. The biggest concern to your average home gardener and foodie was the policing and regulation of growing, sharing and gifting food and seeds. It was one of those things that sounded too ridiculous to be passed. But when you show apathy because something seems too retarded to happen, it could very well happen right under your nose. 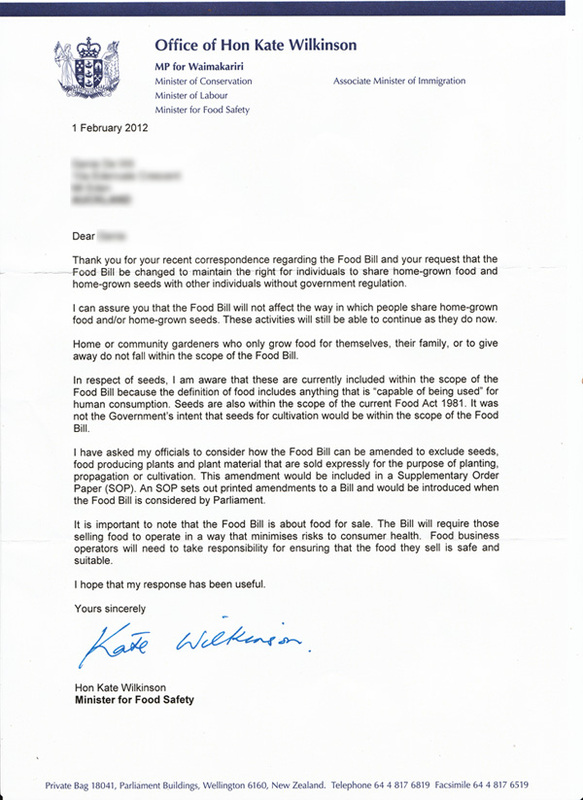 I recently signed an online petition against the food bill and today I got this letter back this afternoon. Sounds very promising. I’m guessing that those that make a few dollars selling their excess bounty may be concerned, but will anyone bother policing a few bags of tomatoes? What are your concerns on the food bill? Toronto seems to be focused on the debate of whether to allow people chickens in the city proper. At least it seems we have nothing major to debate about (read extreme sarcasm). We are permitted up to 6 hens per home in Auckland. No roosters (thank goodness!). What is the current situation on chickens there? Are they trying to remove them or they banned and people are trying to allow them in? It still sounds like people won’t be able to sell food from their gardens at small farmers markets and the like which is a bummer. PS. I signed the petition too, haven’t received a letter though! That would be a huge bummer Laurel. I love buying produce from small-time gardeners. They are always so enthusiastic about what they do, it makes me want to try new things.